The Winter Solstice is drawing near. This year, according to my source, the winter will officially occur in Dublin at 15:47 , 5:47 p.m., tomorrow December 21. Correspondingly, it will be 9:47 a.m. on the west coast of America, 8 hours behind us here in Dublin. There is a really interesting website showing photos and explaining the winter solstice at Newgrange, a world famous prehistoric site in Ireland. 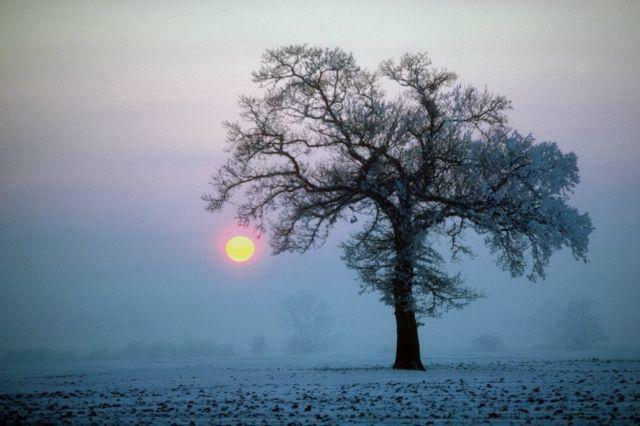 Around the time of the winter solstice the rising sun shines into the inner chamber for 5 or 6 mornings. Some of the photos shown of the 2005 solstice were taken by Anne-Marie Moroney, a weaving friend of mine. Anne-Marie is also a photographer and author interested in archaeological and mystic phenomena. Anne-Marie and a poet friend, Susan Connelly, produced a book about some of the holy wells in Ireland. She used not only her own photographs but also some of her textiles as illustrations. I would like to tell you more, but that will have to wait for another day. My copy of the book is currently in a container on the SS Rotterdam Express, approaching the Panama Canal, en route to Seattle. A few weeks (about 15 days) starting around 22nd of December is called Toji [or Tou Ji : Winter Solstice]. When solar celestial longitude gets 270 degrees, the most south, the solar height becomes lowest in the year in Northern Hemisphere. Therefore, the daytime is shortest in the year and cold increase severity. In Japanese custom, we eat “Japanese Pumpkin” and Konnyaku (devil’s tongue) to pray for luck of money. Also, we take Yuzuburo (citron bath) to pray for health and fortune. From ancient times, there are many festivals held in all around the world to celebrate Toji (Winter Solstice), when sun approaches most in Northern Hemisphere. The festival of Christmas, which is originated in Europe is related to Toji this strongly. Lovely photo. It is grey and dark and snowing here this am, real solstice weather. My younger brother’s birthday was Dec. 21 and we used to tell him he had the shortest birthday of us all because it was the shortest day of the year. Nice. Thanks for commenting on my blog as it led me to yours. Wishing you a merry Christmas and a Great New Year!! Better get back to my knitting……almost finished the last pair of slipper socks for gifting then am hiding the knitting needles for a few days…if I can quit cold turkey…we will see! !